Between now and the middle of September we are trying to gather together some special recipes to put into a Kernos Cookbook that can be sold in the lead-up to Christmas to raise money for the Kernos Centre. You can help with this fundraising initiative by submitting to us any of your favourite recipes that are not from a published cookbook – we have to respect copyright laws! 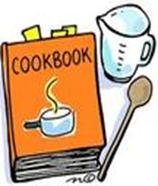 We’d also appreciate you adding (in one or two sentences only, please) a note of any funny, sad or sentimental memories that may be associated with your recipes – it isn’t essential to do this but it would help to add a personal touch to this special cookbook. Pictures would be good too! And send us as many recipes as you like – it would be fantastic to have the biggest possible selection to choose from. How the Kernos Cookbook develops will depend on the sort of response we receive. Any ideas will be welcome – and, if the response is overwhelming, we may have to make some editorial choices! We nonetheless hope we’ll be able to include most of your recipes and make the Kernos Cookbook a ‘must-have’ Christmas gift. When you submit your recipes please state whether you would be happy to have your full or first name mentioned or whether you’d prefer to remain anonymous. The deadline for recipe submissions is Friday 11th September. Sue Newton, Kernos Centre, 32-34 Friars Street, Sudbury CO10 2AG. 1) sending a cheque, made out to ‘The Kernos Centre’, to the above address.